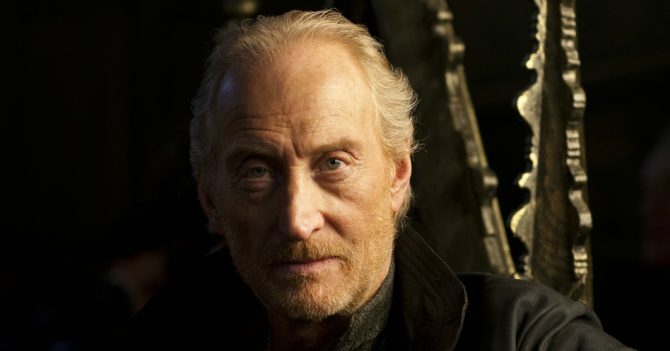 For all of his brooding and nefarious warmongering, the great Tywin Lannister left a mighty big hole to fill after Charles Dance’s patriarch met his makers in Game of Thrones, though it’s fair to say that Tywin – and, more specifically, Charle Dance’s scenery-chewing performance – will live long in the memory of the show’s impassioned fanbase. Imagine our excitement, then, now that the English thesp has closed a deal to join Warner Bros. and Legendary’s monstrous sequel, Godzilla: King of the Monsters. Deadline has the scoop, confirming that Charles Dance has been added to the ensemble cast…and little else. Granted, in the same report, the outlet also revealed that Sally Hawkins, who played Monarch scientist Dr. Vivienne Graham in the Gareth Edwards franchise-starter of 2014, is also on board, which tells us that Ken Watanabe’s Ishiro Serizawa (“let them fight!”) will surely make an appearance and bear witness to the King of the Monsters once more. As for the newcomers, Legendary and Warner Bros. have been busy casting the net, roping in the likes of Stranger Things star Millie Bobby Brown, Vera Farmiga, Kyle Chandler (Bloodline), Aisha Hinds, O’Shea Jackson Jr (Straight Outta Compton) and, more recently, Hamilton breakout Anthony Ramos. Charles Dance will no doubt make an excellent addition to that ensemble, though the Powers That Be are currently keeping any and all character details under lock and key. Godzilla: King of the Monsters, directed by Krampus helmer Michael Dougherty, is slated for release on March 22nd, 2019. It’ll become the third entry in Legendary’s MonsterVerse following Godzilla and this year’s Kong: Skull Island, which roared all the way to an impressive $565 million at the international box office.